Rebel Rebel offers a wide range of the latest release, quality, branded sporting and leisure goods. 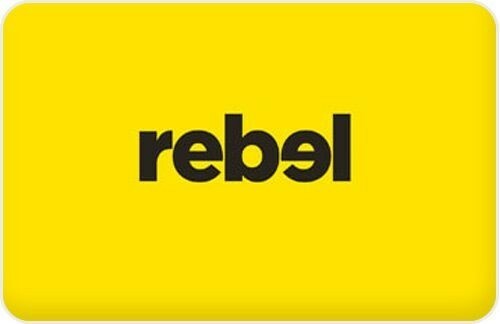 Rebel $50 eGift Card Rebel offers an extensive list of products for the casual and serious fitness enthusiast, including sporting and exercise equipment, gym & fitness, clothing, footwear & associated accessories for running, swimming, football, tennis, cricket + much, much more. There are nearly 100 stores Australia wide.